For owners of "Distinctive Dresdens" by Katja Marek. A 13 month program of 2 blocks /month. Every template supplied. Free shipping! Join us in making Katja Mareks wonderful Distinctive Dresdens. Her marvellous book contains 26 Dresdens blocks - every block unique. "Discover 26 Dresden Plate designs that shine with intricate style. 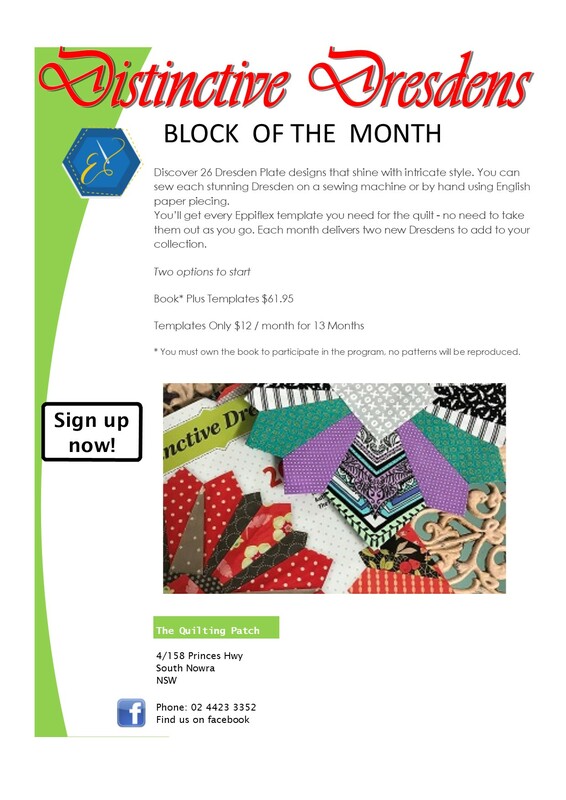 You can sew each stunning Dresden on a sewing machine or by hand using English paper piecing--Katja shows you how, every step of the way. Plus, Katja's done all the math work for you. 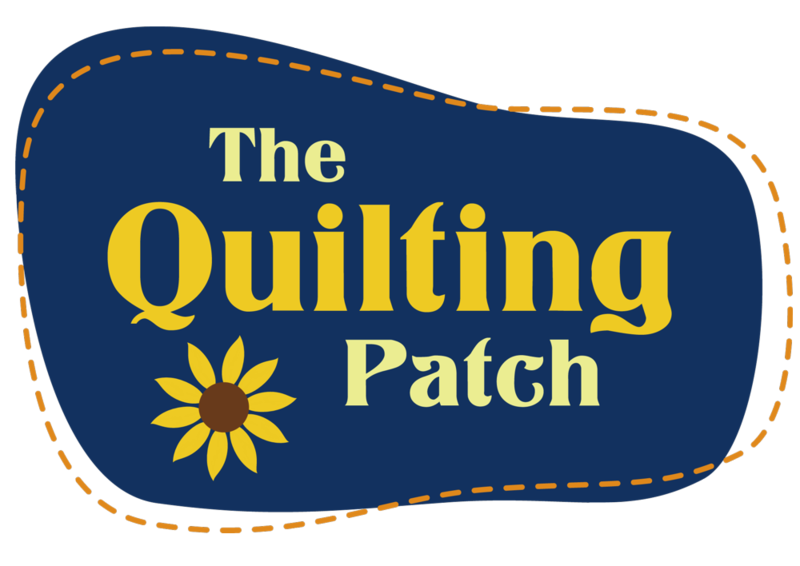 Just trace, cut, and stitch for piecing that's a perfect fit! 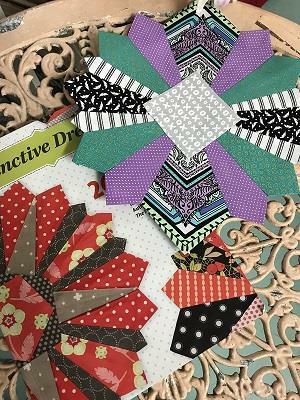 Show off all your colorful Dresdens in six inspiring projects: a table runner, Christmas tree skirt, lap quilt, wall quilt, pillows, and place mats." All the details of the program are in the flyer below - you can print off the sign up form here. Call us on 02 4423 3352 for more information.